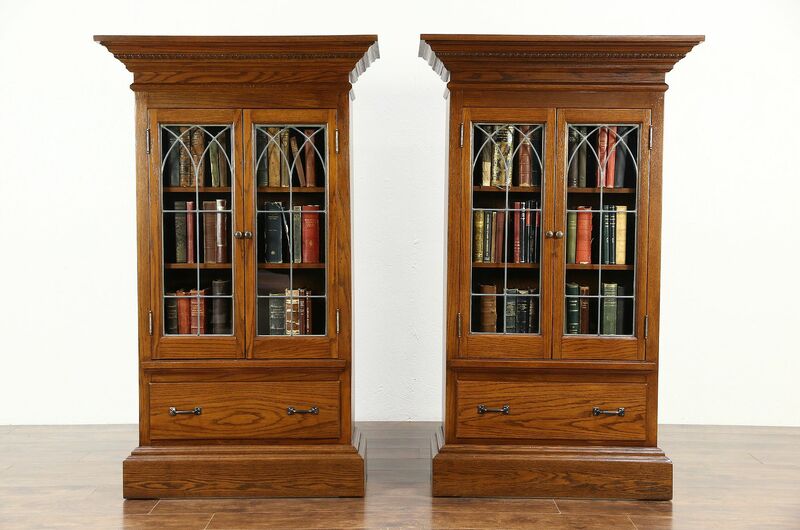 A matched pair of solid oak bookcases or display cabinets have doors with hand leaded wavy glass panes and Gothic arches. The renewed finish is in excellent condition. Crafted with deep moldings, this American made antique library or hall furniture dates from about 1900. Shelves are adjustable. Size is 35 1/2" wide at the crown, 17" deep and 59 1/2" tall.